Irish Nationalist activist and military leader, after work in London as a civil servant he was elected to UK parliament in 1918 for South Cork, but his party, Sinn F閕n, refused to take their seats. He managed guerrilla warfare against England during the Anglo-Irish War (1919�), to great success. Collins also directed the intelligence operations of the IRA. In 1920, a �,000 bounty for his capture or death, making him the most wanted man by the British establishment. 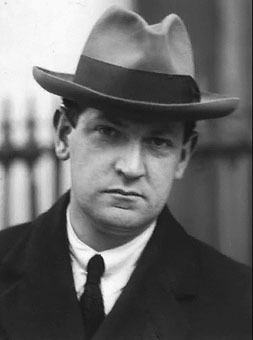 After a truce was brought in 1921, he was among those who negotiated the partition of Ireland, an act which he considered his own "death warrant." He was assassinated soon thereafter. Neil Jordan created and directed a film about Collins, Michael Collins (1996), starring Liam Neeson. T. Ryle Dwyer, Michael Collins: "The Man Who Won the War" (1990), regarding recent attempts to rewrite history: "In later years some people -- who never knew Collins -- would suggest that he may have been homosexual. It has all been pure speculation, based largely on the portraits by Beaslai and Frank O'Connor, though neither author ever actually suggested it. O'Connor relied heavily on Collins' longtime friend Joe O'Reilly for his portrait, which showed Collins as a contradictory conglomeration of various characteristics -- warm-hearted, fun-loving individual with a thoughtful, generous nature, but also a thoughtless, selfish, ill-mannered bully."